Just Curious on what it is in fact, that this option does? you have to enable that setting to allow installation of add-ons from .zip files. android users should be familiar with it. (2016-02-10, 20:15)ironic_monkey Wrote: you have to enable that setting to allow installation of add-ons from .zip files. android users should be familiar with it. (2016-02-10, 19:58)Martijn Wrote: What do you think it does? Well I was curious on what you think it would be cause if it's not clear then description needs to be better. But apparently you didn't get that point. (2016-02-10, 20:55)Martijn Wrote: Well I was curious on what you think it would be cause if it's not clear then description needs to be better. But apparently you didn't get that point. (2016-02-10, 20:55)Martijn Wrote: cause if it's not clear then description needs to be better. Please consider including a more verbose warning text and description similar to Android to make the purpose of this setting option more clear. Maybe something a kin to: Your installation, device, and personal data are more vulnerable to attack by third-parties from unknown sources. For security reasons, your Kodi installation is by default set to block installations of addons not optained from the official Kodi repository. 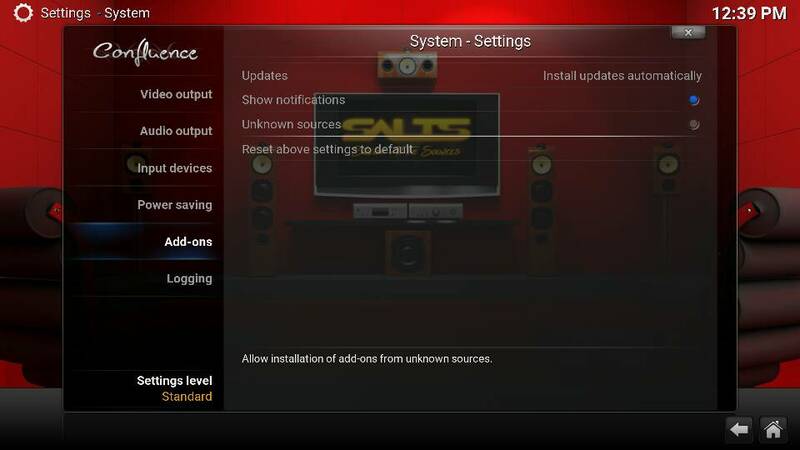 Please understand that if you choose to allow unkown sources then you are solely resposible for any damage to your installation and device or loss of data that may result from installing and using such addons. To install app stores that are not initially present on your device, Android requires you to enable the "Unknown Sources" setting. This allows you to download apps and games from sources other than Google to your mobile device. Note: Any time you're using the Internet, you should take care to download content only from sources that you know (such as Amazon). Amazon only downloads apps and games that you've intentionally purchased to your device. During the installation process for Amazon Appstore, follow the on-screen prompts to enable Unknown Sources. For more information about installing the Amazon Appstore app, go to Install Amazon Appstore for Android. The Amazon app for Android will walk you through enabling this setting before you get your first app from the Apps & Games department. Figure 2. Users must enable the Unknown sources setting before they can install apps not downloaded from Google Play. Android protects users from inadvertent download and install of apps from locations other than Google Play (which is trusted). It blocks such installs until the user opts-in Unknown sources in Settings > Security, shown in Figure 2. Users need to make this configuration change before they download your apps to their devices. 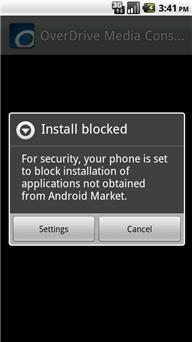 Note that some network providers don’t allow users to install applications from unknown sources. @ıHedda - have you actually tried it? Once you toggle this button you already get a big fat warning dialog. When you install an addon and its source repo, and set it to auto-update, which is usually the default. The author or maintainer of the addon has sole discretion as to with is updated or added to the addon on a subsequent update. Bear in mind that an addon is a program, it has access to all the data on the machine on which it is running. 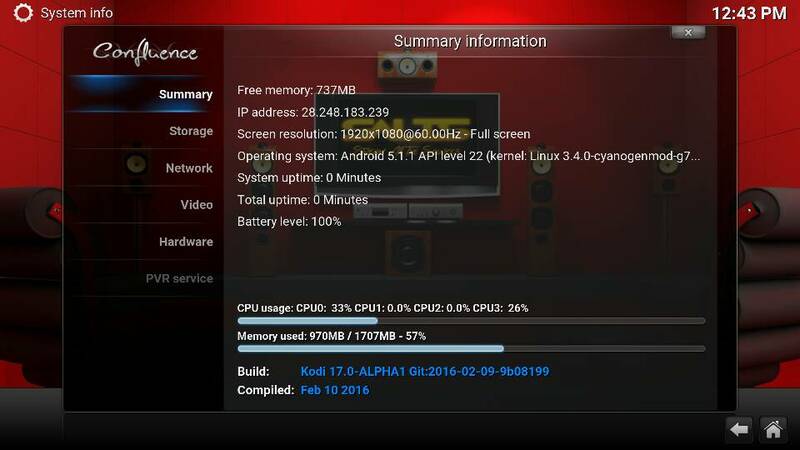 And in addition, since most times kodi is running on a machine that is connected to a network, it could have access to all the machines that are on the network. There is a story around where an author turned the machines running his addon into a botnet and used it to attack another person. I am sure the people who installed the addon did not sign up to be a part of a botnet. Obviously there is more that could be said but at least you should see the potential danger.